The inspiration and motivation has brought together the right people at the right time in life. The collective of artists as different as they could be, was the foundation for Shalamanda HiFi as it exists today as an independent dub and roots reggae soundsystem. 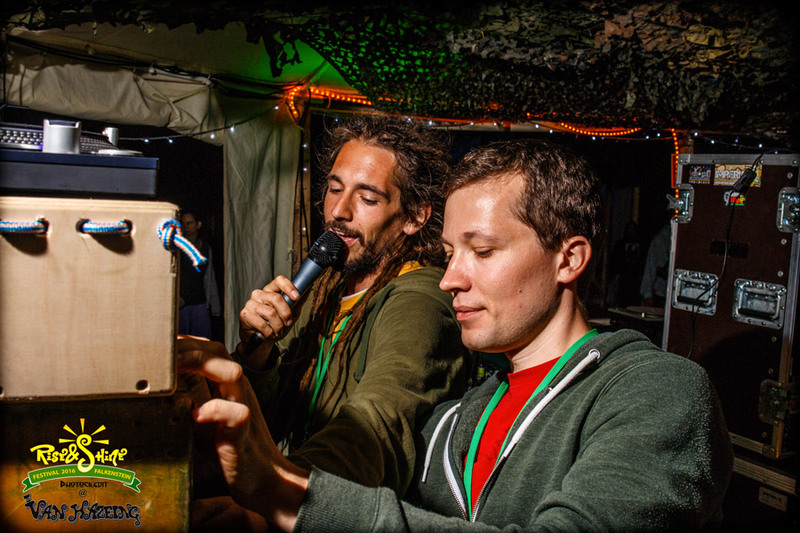 Established in 2006, the first organized events and performances were the beginning of a development which Shalamanda HiFi has now made the first and biggest Austrian soundsystem with its own speakerboxes and a clear focus, to spread the message of Rastafari, love, peace and spirituality through their selection and vibes. This message get forced by handcrafted meter high boxes (24 x 18inch) which put the whole body in meditative vibrations. Reggae, Roots & Culture. Of rare productions from Jamaica in the 60s and 70s to current dub creations from around the world. Through the love to music and culture each session is a particularly an authentic experience for your body,mind and soul. Their biggest project now is their Rise & Shine Festival, which has also international attention in the meanwhile. They are also the organizers and founders of the only regular Dub club in Austria, the Vienna Dubquake which hosted already some of the greatest sounds, producers and singers of this genre and gave the honor to the audience. The greatest musical achievements including appearances on Seasplash Festival (CRO), Rototom Sunsplash (ESP), Dub Academy (GER) , UNOD and many other local and international clubs and festivals. Until their first homegrown productions will appear on vinyl, it is only a matter of time, because in the studio they also tinkering already busy on their own Shalamanda Vibe!